fitlet-RM is a ruggedized miniature fanless PC in an an all-metal housing. fitlet-RM provides excellent durability at extreme temperatures and conditions of shock, vibration and dust.In many independent benchmarks fitlet-RM achieves higher scores than PCs based on Intel® Atom™. It effectively doubles the performance of the original fitlet-i. fitlet-RM is a ruggedized miniature fanless PC in an an all-metal housing. It has many unique properties that make it an extraordinary industrial PC. fitlet-RM is built to last. It is one of the most hardened and durable PCs on the market. fitlet-RM is fanless with no moving parts. This means its reliability and thermal performance are not reduced over time and it is not subject to sudden failure due to fan malfunction. As a result, fitlet-RM is also perfectly silent. “The most reliable fan is the one that isn’t there”. fitlet-RM can work at a temperature range of -400C to 700C. This means fitlet-RM can be installed in any weather condition, in any type of cabinet or in a vehicle without complicated cooling design. fitlet-RM has no vents. Heat dissipation is by conduction to the housing so there is no air circulation on internal components. So fitlet-RM is not sensitive to dust, humidity or polluted air. It is also easy to integrate in clean-rooms and sterilized environments. The miniature 0.22 liter housing of fitlet-RM is all metal with interlocking parts for structural strength. fitlet-RM has been successfully tested for passenger car vibration and in drop tests. fitlet-RM is built of embedded long-availability components and is guaranteed to be available and supported for over 5 years. fitlet-RM comes with a 5 year warranty. fitlet-RM fully supports Windows 7 and Windows 10. 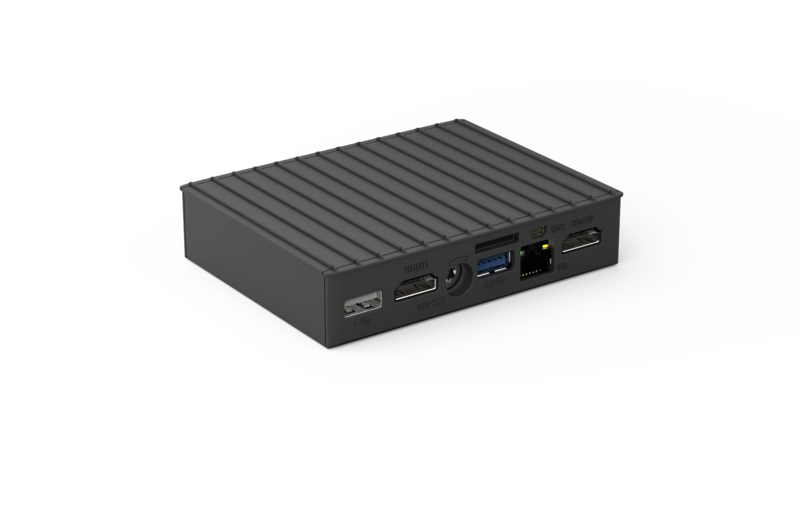 It is one of the only miniature PCs with official Linux support and Linux pre-installed, based on the Compulab-Linux Mint partnership that result in the MintBoxMany pfSense users find the fitlet-RM XA10 LAN to be an excellent firewall/router. 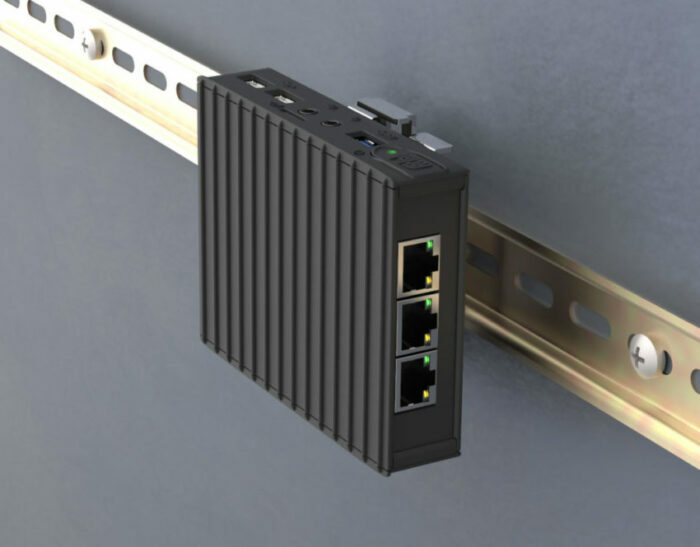 fitlet-RM-XA10 LAN supports 4 Gbit Ethernet ports. fitlet-RM-iA10 has dual Gbit Ethernet and WLAN 802.11ac or a mobile data communication card. fitlet-RM makes an excellent router and its networking flexibility allows fitlet-RM to stay connected regardless of network conditions. fitlet-RM-XA10 incorporates a FACET Card (Function and Connectivity Extension T-Card) that has multiple interfaces including 3 PCIe ports. In fitlet-RM-XA10 LAN the FACET is used to implement 3 Gbit Ethernet ports. The FACET interface is fully documented and published to allow 3rd parties to design their own extensions to fitlet-RM. Compulab can offer FACET design services for large volume projects. fitlet-RM can be fully configured to order with a choice of CPU, memory, storage, extension cards, accessories and operating system installed. Compulab can even change features on the motherboard for volume orders. This allows cost optimization and perfect fit of fitlet-RM to the project’s needs. Corporates can use fitlet-RM to promote their brand indentity. fitlet-RM is designed for easy OEM branding and Compulab provides full rebranding service. MintBox Mini is a great example. There are unique challenges to industrial PCs that are common to many projects – power, mounting, start-up behavior, headless operation – to name a few. For 10 years Compulab has been supporting industrial-PC customers. fitlet-RM has a set of solutions to problems other industrial PCs vendors are unaware of. One of the concerns when installing an unattended PC is cables disconnecting, especially when the PC may be subject to vibrations when installed in machinary or in a vehicle. fitlet-RM has a built-in locking mechanism for the power cord and for the two rear USB ports that prevents the cables from unintended disconnection. fitlet-RM has two features that simplify integration inside a machine – remote power button is a cable attached to a connector on the motherboard allowing the on/off button to be brought out to the machine’s dash-board. The fitlet-RM power-button can be mechanically disabled with a pin that prevents accidental pressing of the power button. SBC-FLT is the motherboard of fitlet-RM and can be used independently to integrate where an SBC is required. SBC-FLT has an integrated heat-plate for easy thermal coupling. 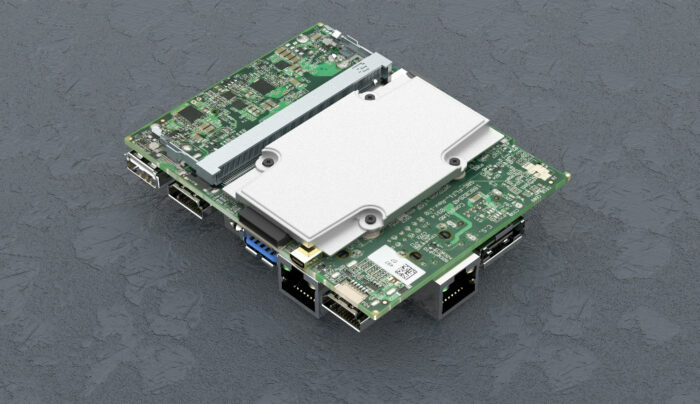 RAM and storage are mounted directly onto the SBC keeping the footprint small and low-profile. Long term projects need scaling headroom to allow higher performance, more RAM and storage and additional connectivity. This scaling should better not require rewriting or recompiling the software to avoid fragmentation of the install-base.fitlet-RM has fully compatible siblings. fitlet-H has the same CPU doubles the RAM and supports multiple storage devices. fitlet-T has the same feature set of fitlet-H and is based on a higher-performance CPU.